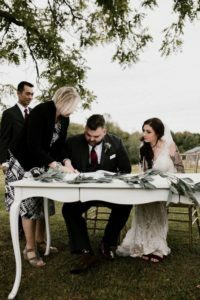 As marriage officiants, wedding ceremony specialists and certified Wedding Celebrants, we believe that a couple planning to marry should have a wealth of choices for their wedding ceremony. 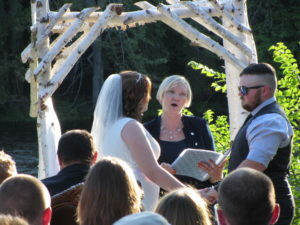 We are able to provide you with any type of wedding ceremony that you want at a location of your choice. 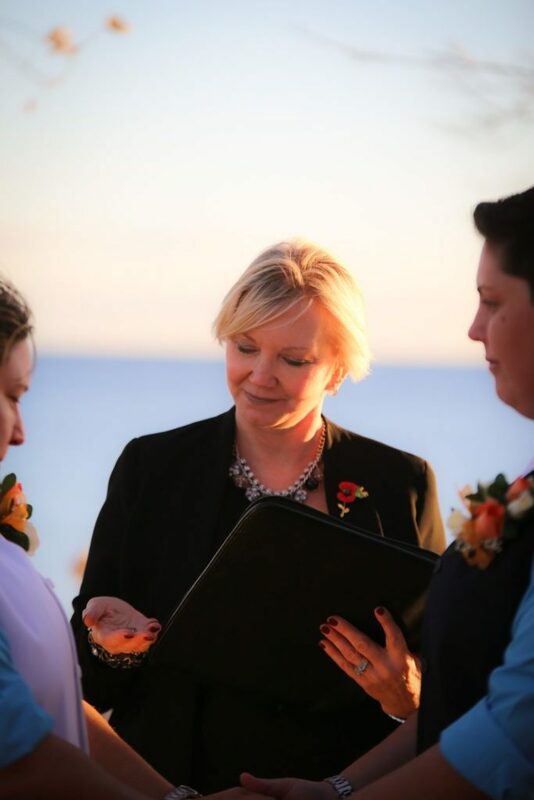 Your ceremony can be completely without religion, yet can include some religion, spirituality and meaningful elements which are right for you. 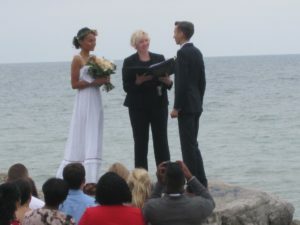 Your wedding ceremony can also include a small amount of religion instead of a full religious ceremony. As an example, with a couple of meaningful readings and a prayer and the rest can be completely non-religious or spiritual. 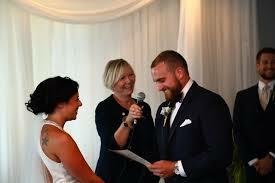 Add some special elements such as handfasting or perhaps a rock or ring warming ceremony as part of your special day. 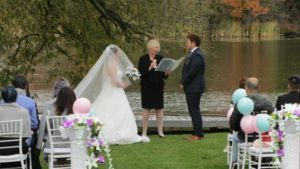 For more information on wedding ceremonies and the wedding celebrant difference, please visit Aileen Dockerty’s blog.